Sam Warburton OBE was not only a titan of Welsh rugby, but an icon of the game Having represented his country as a player and team captain at all junior levels, he propelled himself to international attention in 2011 when named as the youngest ever captain of Wales for the Rugby World Cup. Despite his tender age, Sam’s immense displays for club and country were recognised still further in April 2013, when, at just 24, he was named the Lions' captain for the extraordinary 2013 tour to Australia. Four years later, after a year ‘in the wilderness’, Sam was named Lions’ captain yet again for the historic tour to New Zealand, thereby becoming the first ever Lions Captain never to lose a series in the professional era. Intelligent, calm, thoughtful – in many ways seemingly the exact opposite of the smash and crash of modern rugby – Warburton’s edge never came with his size, but with his depth of thought, his reading of movement, and his understanding that, to be a uniquely successful leader, one needs to set goals that far exceed the ambitions of even the most ferocious of opponents. In leading other men, and in pitting himself against the world’s best, Warburton was forced repeatedly to push himself to the very edge of his physiological and mental limits, the 21 significant operations over that period a painful testament to his sacrifice. Open Side is therefore not simply a chronology of events or a celebration of statistics. Written in a compelling but soul searching style, this is an astoundingly personal book exploring the nature of leadership, the value of self-control, the precision of mindset and of course the future of the game. It is also a deeply personal meditation on the sacrifice of body, the torment of injury and the pain of retirement, a decision Sam was forced to make in July 2018, at just 29 years old. 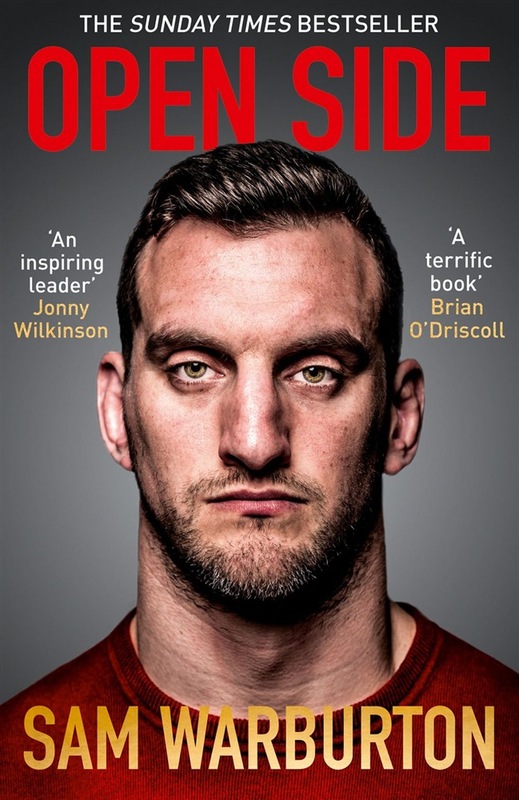 Never before has a rugby autobiography given such intimate access not only to the realities of the dressing room and the heroes and villains of the modern game, but to the unique mindset required to make someone a genuinely great leader of men. Acquista Open Side in Epub: dopo aver letto l’ebook Open Side di Sam Warburton ti invitiamo a lasciarci una Recensione qui sotto: sarà utile agli utenti che non abbiano ancora letto questo libro e che vogliano avere delle opinioni altrui. L’opinione su di un libro è molto soggettiva e per questo leggere eventuali recensioni negative non ci dovrà frenare dall’acquisto, anzi dovrà spingerci ad acquistare il libro in fretta per poter dire la nostra ed eventualmente smentire quanto commentato da altri, contribuendo ad arricchire più possibile i commenti e dare sempre più spunti di confronto al pubblico online.